On the list of the active road projects happening in Ocean County is the latest closure at Route 37 and 166. A look at the Ocean County Engineering Department’s active projects lists the closure of the eastbound jug handle onto Route 37 from Route 166 northbound. 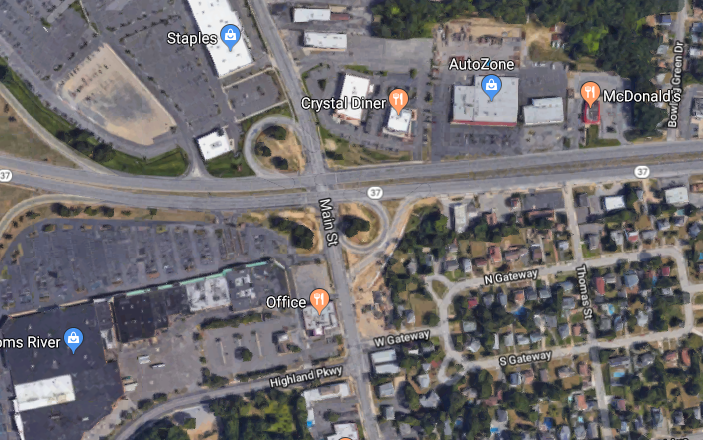 The entire intersection of Routes 37 and 166, from Colfax to Old Freehold Road and its adjacent roads, have seen ongoing construction that has lasted several seasons as part of the plan to add lanes and improve traffic flow and pedestrian safety. One of the busiest intersections in town will see eastbound Route 37 jug handle from northbound 166 close from April 2 to 13. Work began more than a year ago when a freestanding oil change station was demolished to make way for an improved eastbound jug handle. Much of that land was absorbed into the construction of a new jug handle to head east there, to alleviate traffic on Route 166 north.